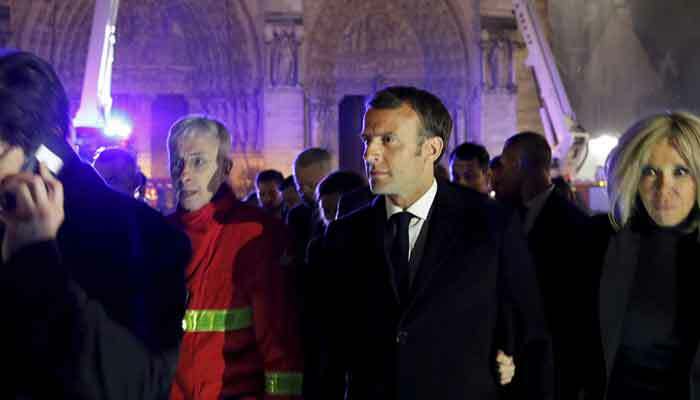 PARIS: French President Emmanuel Macron has vowed to rebuild Notre-Dame Cathedral in Paris, after a colossal fire tore through the building, sending the spire crashing to the ground and wiping out centuries of heritage. Gasps and cries of "Oh my god" erupted around an hour after the fire first broke out when the top portion of the church´s spire came crashing down. "If Paris is the Eiffel Tower then France is Notre Dame. It´s the entire culture, entire history of France incarnated in this monument," Bernard Lecomte, a writer and specialist in religious history told BFM TV.